And so Mackenzie sees “the mess” from his perspective, but if he could take on a different perspective, he would see a fractal. As a wish-I-had-time-to-garden gardener, I would love to play with plant placement having read this, as I’ve always put the tomatoes with the tomatoes and the peppers with the peppers. Aren’t things supposed to have order from my perspective? I am reminded of how little we actually see of what God is up to in life. Often I see a dark mass in front of me, but if I could see everything, I would see that that dark mass is only a tiny black thread in a tremendous mosaic of color and form and meaning. God is a God of order. But He is also the God who knows the order in what we perceive as random, chaotic, hopeless. And so the fractal garden delights me because it reminds me of His character and the fact that He controls the chaos and mess in my life. This entry was posted in Fiction, God, Novel and tagged Chaos, Douglas Adams, Fractal, Garden, Gardening, God, Holy Spirit, Mathematics, Order, Pi, The Shack, William Young by Michael. Bookmark the permalink. Hi Michael! Maybe you can help me. I have read “The Shack” and loved it and am actually going to have my teenage Sunday school class begin the book the first Sunday in September. When I read the book, I had no idea what a fractal was, so I’m certain the teens are probably not going to know. I’ve been searching images on the net for a photo that might best represent Sarayu’s garden, but haven’t come up with much. Was wondering if you had spotted anything that might help the youth envision what is is Mack and Sarayu see. I experienced last night a fractal. I have have been blessed with visiting angel orbs over the past few months. Last night one of these orbs created a fractal in front of my own eyes! I didn’t know what it was until I called my angel friend and she explained that God was talking to me. Thanks for stopping by. I would seriously question whether God was talking to you. In the Bible, when an angel shows up he has a specific message. What would be the purpose in showing up in an orb and drawing neat designs in the air. The world is full of design, including fractals. God does not need to send an angel orb (whatever that is) to entertain us. God has spoken to us—His Word clearly speaks His heart and purpose for our lives. If these “angel orbs” ever do speak, and they don’t line up with God’s scriptures, then they are not from God. Having read The Shack – the first time just as a good read, and now reading it again to think through and try to really understand all that is in this wonderful book. I have encouraged my bible study/home group to read it also then we are going to have some evenings to discuss it together. Fractals took my interest which I hadnt heard of before, and looking into some of the pictures on the internet gives me an understanding of what the author’s intention is for us readers to appreciate. Thanks William P Young for all the time and effort you have put into this work, I know it will bless many many people. It certainly has me. Thanks for stopping by. The fractal garden piqued my interest as much as anything in the book. I would recommend a careful reading of the book and the implications of his less than orthodox views on the Trinity, Christ, and God’s relation to mankind. But no one has actually given a site where one can see a fractal garden in real life or at least photos of one. Thanks for visiting and commenting. While I am sure, someone has tried, only a simple design would be possible compared to the complexities that can be generated on a computer. I haven’t looked, but surely someone has created a virtual fractal garden of some sort. 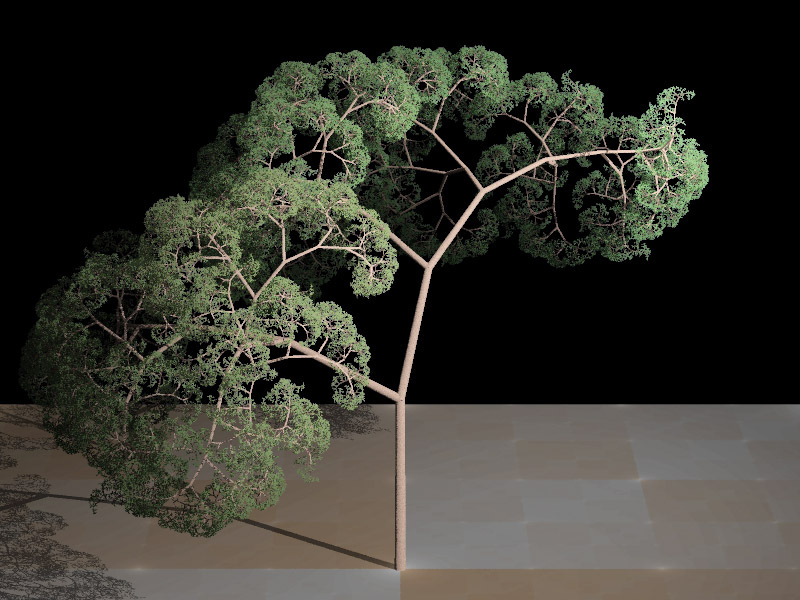 From my understanding a fractal is everywhere in nature, a fern, broccoli, snowflakes, etc. you need not design one. There is even a mathmatical equation to the fractal. Thank you for your comment. I would agree that fractals can be found in nature in many places. The design aspect that I referred to dealt more with the garden layout as a whole. A normal garden with a row of this and a row of that, while it may be symmetrical or ordered, is certainly not a fractal. That would take some planning (and luck and prunning) as plants don’t always grow the way we want or expect.